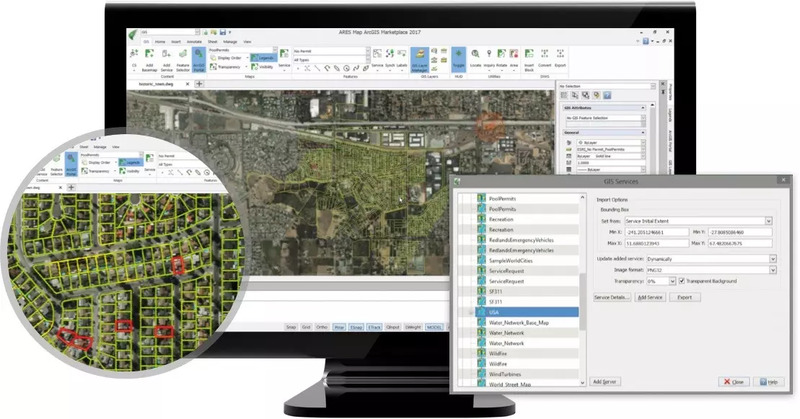 For users of Esri® ArcGIS Online, ARES Map is the perfect companion to collect and convert CAD data to GIS but also modify information from CAD drawings. 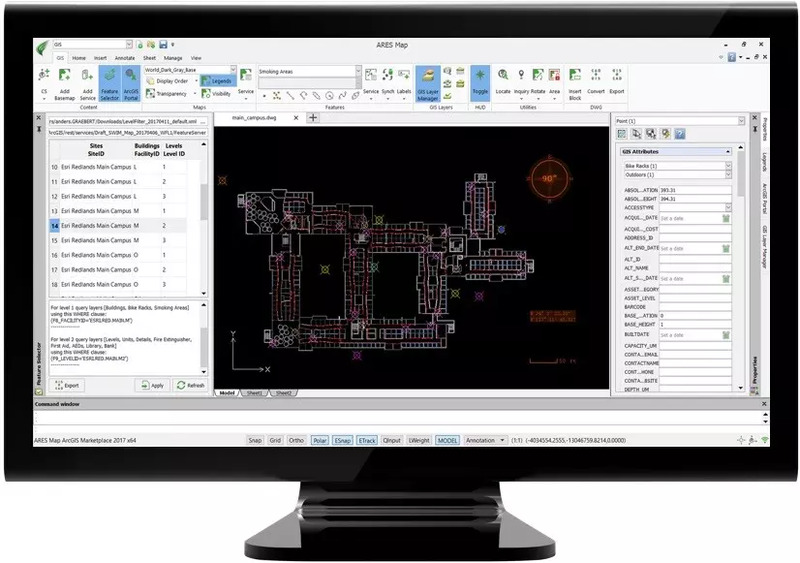 ARES Map is combining all the drafting tools to create and modify DWG drawings with ready-to-use maps and georeferenced information. ARES Map is the ideal CAD solution for organizations using ArcGIS Online/ Whether you need to update your GIS systems on actual CAD data or want to import CAD data into your GIS systems: ARES Map offers you a productivity driven environment specifically tailored to your needs. ARES Map not only allows you to directly import and access your GIS data in a full-featured CAD software. 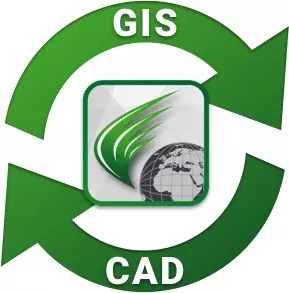 Being able to convert CAD into GIS entities and vice versa, it is the perfect fit if you want to keep your CAD and GIS up to date and in sync. 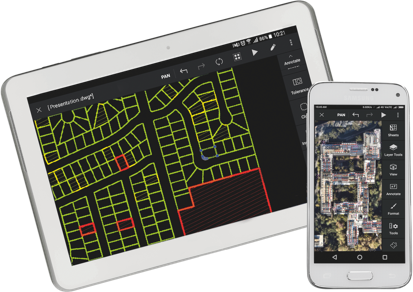 Enrich your DWG drawings with Professional Maps from Esri, the World leader for GIS Solutions – ARES Map brings you all the tools you need to make your CAD meet the real world. ARES Map is the perfect standalone CAD solution, if you want to use GIS data in your DWG drawings. The software is designed in conjunction with Esri and combines ArcGIS with Graebert’s Professional CAD Platform ARES Commander. ARES Map is powered by ArcGIS Online from Esri, the world leader for GIS technologies. Its CAD engine is based on ARES Commander, Graebert’s popular DWG-based multi-platform CAD solution, trusted by million of CAD professionals. So with ARES Map you have access to all the inbuilt CAD functionalities and commands of ARES Commander. ARES Map’s subscription includes 1 year of ARES Touch, our mobile version.Map specific features are not yet supported in ARES Touch. Yet it includes a full set of features to read, share, and markup your project drawings on site using a smartphone or tablet. ARES Map’s subscription includes 1 year of ARES Kudo, our Cloud version. Map specific features are not yet supported in ARES Kudo but you can use it to access your drawings online and edit them with many 2D DWG-editing features.ARES Kudo is also helping you to synchronize your projects across your computers and devices via the Cloud storage palette inside ARES Map. ARES Map is a good example of the vertical applications that developers can create with the ARES OEM platform. 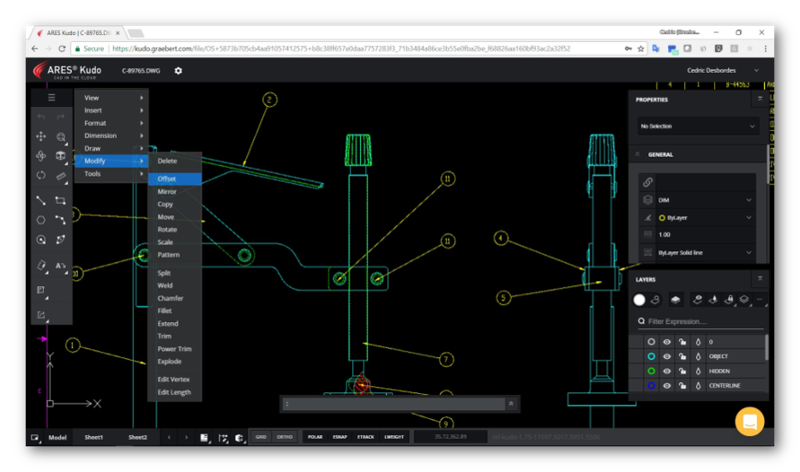 This hybrid solution combines Graebert’s CAD features available in ARES Commander with industry-specific features and a customized user interface. For this hybrid solution we also integrated with Esri’s ArcGIS Online technology to build a hybrid product bridging CAD and GIS.